Montelimar, a town most famous for its nougat production, is in the Drome department (Rhone Alpes region) to the south of Valence. Montelimar is primarily famous for its nougat and if you are visiting Montelimar be sure to taste some. It is nothing like the chewy, plasticy stuff that passes for nougat in the UK but is really delicious. 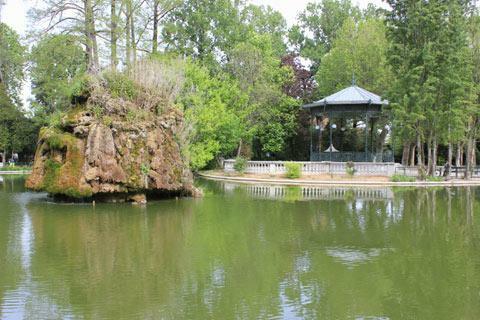 Apart from nougat Montelimar is not really a tourist destination but it does have a pleasant centre with a few sights to look out for. Nougat began to be made here in the 17th century when the almond trees planted around Montelimar first started fruiting. Almonds and honey are key components of the delicious Montelimar nougat. The basic nougat is made of sugar, honey and egg whites and to this almonds, pistachios and vanilla are added. Most of the nougat makers in the town will let you watch the nougat making process, usually in the morning when the day's batch is made. 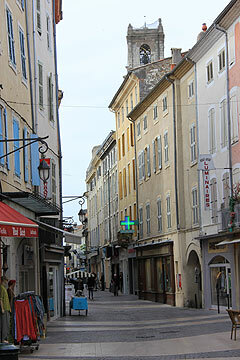 Wandering along the main street, the Rue Pierre Julien there are plenty of shops dedicated to the sale of nougat. 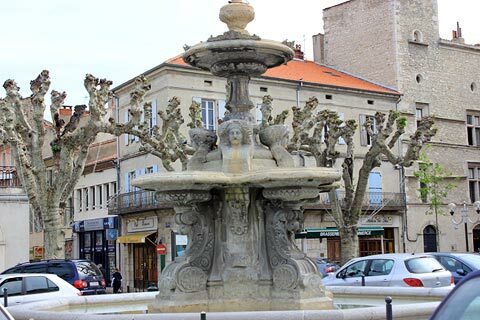 The main square in Montelimar is the Place du Marché which still has some of the original arcades. It is filled with outdoor cafés and is a pleasant place to sit and enjoy the sunshine. Near to here is the former home of Emile Loubet, former President of France from 1899 to 1906 and responsible for the split of church and state which is still key to France's Republic. 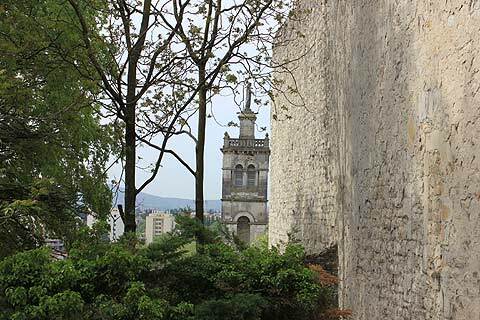 At the top end of the Rue Pierre Julien you can see the last remaining stone gate which was one of the entrances through the towns former ramparts. The Porte Saint-Martin was built in the mid 18th century. Near here is Montélimar tourist office. Close to the St-Martin gate there is an ancient chapel which was once a convent and is now an Arts centre that makes an interesting art exhibition space. 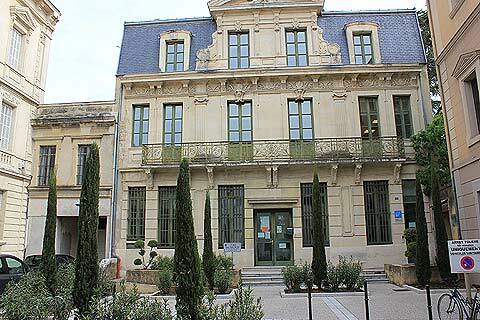 Another interesting house is the Maison de Diane de Poitiers which is an attractive 16th century Renaissance house. Just along the street from this house is another large town house, the Hotel de la Baume (hotel meaning mansion in this context), built at the begining of the 18th century and now a historic monument. 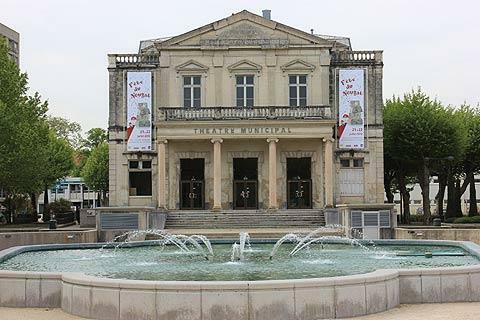 Also to look out for are the municipal theatre built in neo-classical style in the 19th century, a Protestant Church built in the 17th century and a very attractive pharmacy. The pharmacy has a frontage made of tin and lead and has quite an ornate neo-classical style. The most visited destination in the town is the Palais des Bonbons et du Nougat. There are several museums here, with children the target audience. The principal museum is dedicated to sweets and lots of them: in all their colourful variety! You can even see the Mona Lisa and other works of art recreated in sweets. One of the other museums on the same site (all are included in the same entrance charge), the Museum of Jouets, exhibits toys from the 20th century that will surely evoque happy memories for many visitors. As well as the other museums, there is also a recreation of a traditional classroom and a garden area. If you are travelling with children the Jardin Public in the centre of Montelimar is a nice park, great for a picnic, and near the entrance is a mini-farm with peacocks, sheep and pygmy goats. 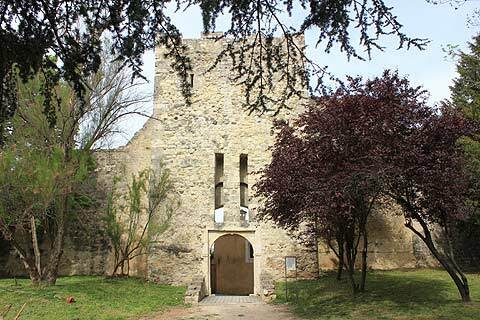 One of the main sights to see in Montelimar is the Chateau des Adhemar which sits on a hilltop above the town. 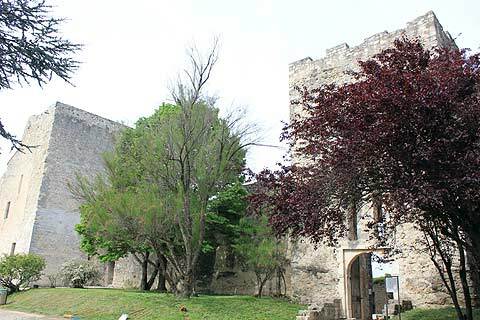 Adhemar castle was built at the end of the 12th century by the Adhémar family. It has battlements, a main residence, a keep and a chapel. It is used to house contemporary art exhibitions. For impressive views of the countryside visit the charming village of Puygiron. The village of Le Poet Laval is to the east of Montelimar and listed among the 'most beautiful villages in France'.